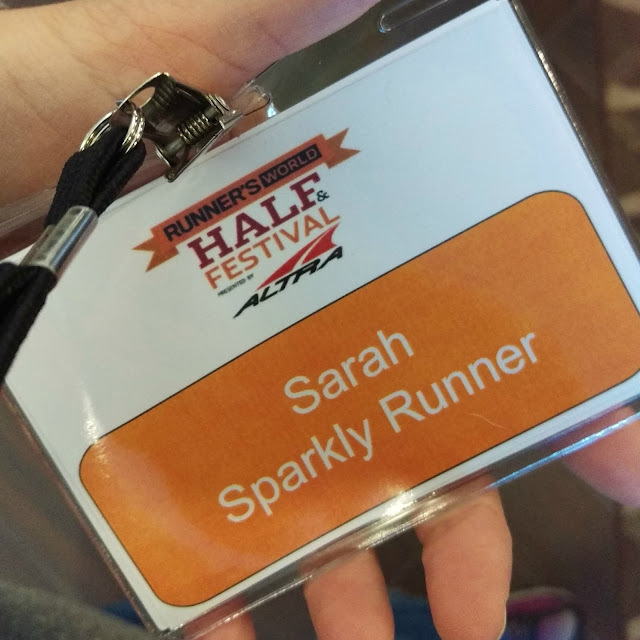 Disclaimer: I received a complimentary entry to the Runner's World Half & Festival Weekend. As always, all thoughts and opinions expressed here are my own. Y'all, I am struggling to put into words just how awesome this past weekend at the Runner's World Half & Festival truly was! 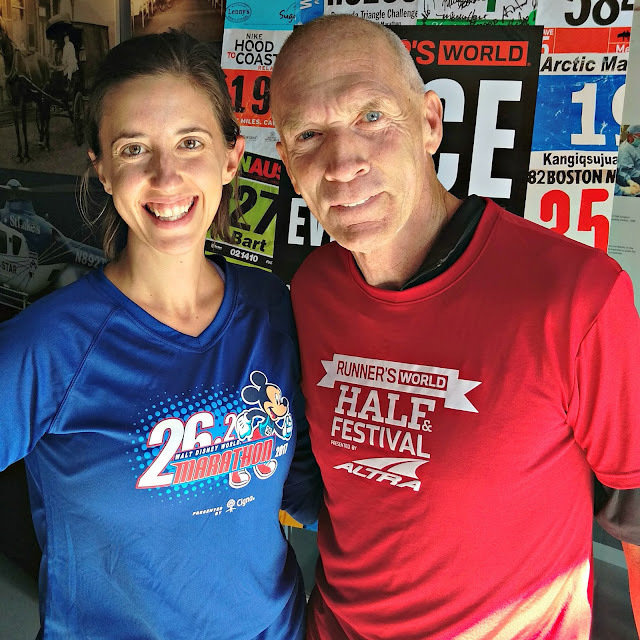 As you might know from previous posts or if you were following along on twitter or instagram this weekend, then you know I was selected as one of ten bloggers chosen to be part of the Runner's World Half Run Crew. 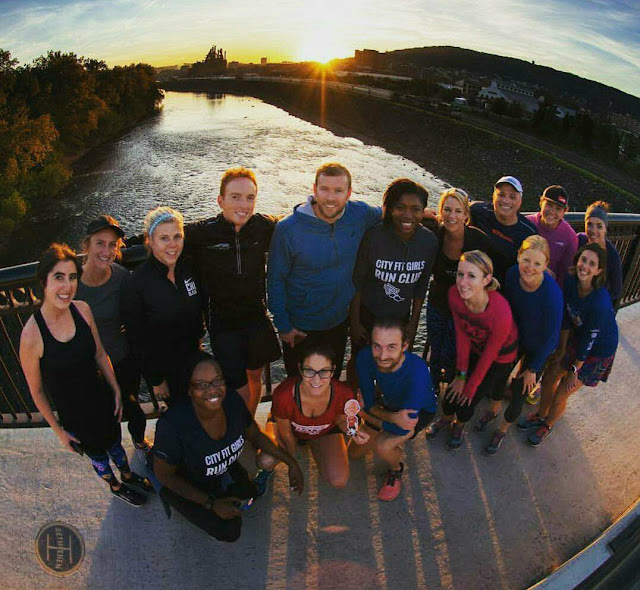 This blogger/influencer program had us learning, running, laughing, and networking with each other - and RW Editors and Altra staff- all weekend long. After getting a behind-the-scenes peek of how the magazine gets put together (and some other neat spaces at Rodale), we were treated to a fantastic dinner with Altra and Runner's World staff. I might have had a super fangirl moment when I got to meet Golden Harper, founder and creator of Altra, aka, the only shoes that my busted up feet can run in. 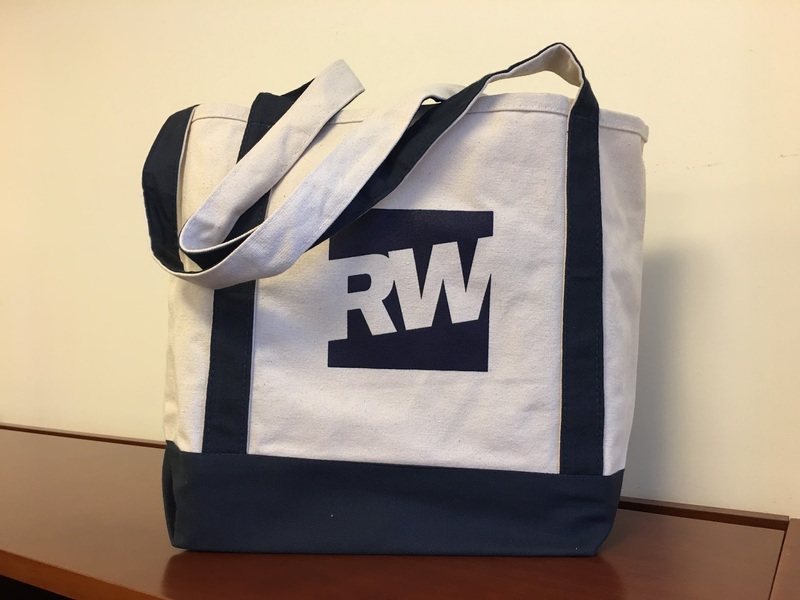 Sweet swag bag we got full of runner goodies! 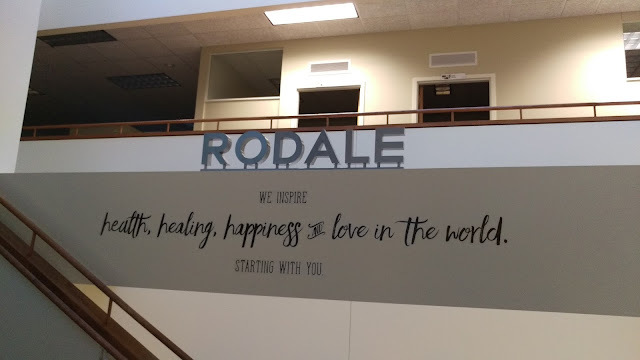 I can get behind this mission statement. 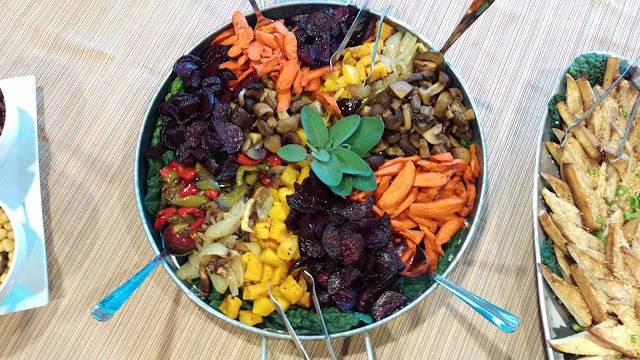 These roasted veggies were so good. After dinner, we were split into teams and played trivia. Hollie from Fueled By Lolz and I were partnered together and we may have gotten two (?) answers correct? Either way, it was fun getting to know some of the RW Editors and other bloggers while failing miserably at running trivia. Once back at the hotel, Theodora (Preppy Runner) and Lauren (Breathe Deeply and Smile) and I went out into town in search of some craft beer. 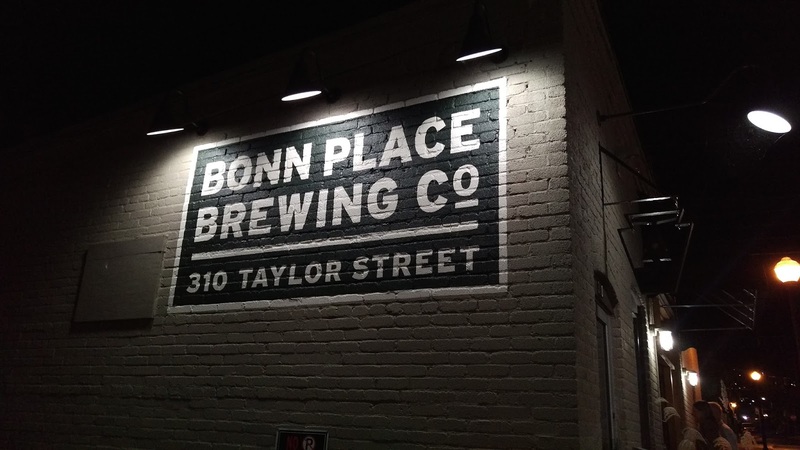 We found a buzzing little place, Bonn Place Brewing Company, and enjoyed some beers and bonding. 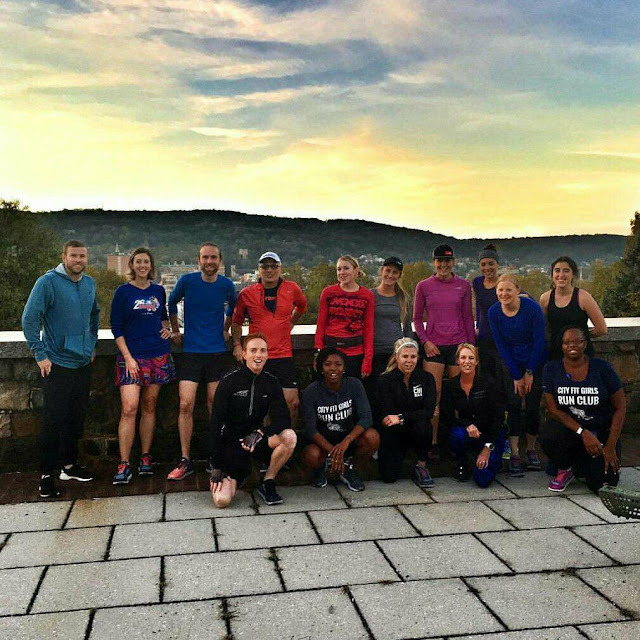 We didn't stay out too late- we had an early wake-up call the next day for a shakeout run with Golden Harper (founder of Altra) and Ryan Hall, Olympian and current U.S. record holder for fastest half marathon (59:43)! Early Friday morning, 6:45 to be exact, we all met Suzanne (RW Editor), Golden, Ryan, and some other Altra folks for a nice and easy shakeout run around Bethlehem. I might have freaked out again because we were running with the founder of Altra and a former Olympian! What?! As it turns out, everyone we were running with was super chill and super nice. 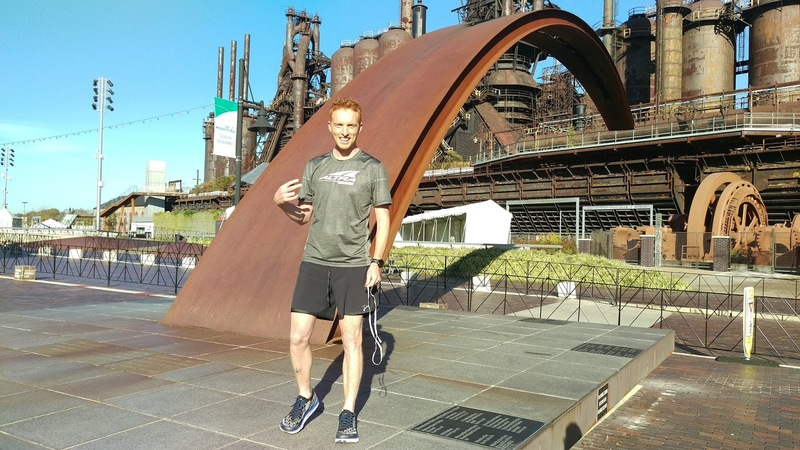 I ended up spending the last half of the run with Ryan and talking about everything from adoption, to working for a college, to running, to life after competitive sports, etc. It was pretty damn cool. We also ran into a professional photographer on one of the bridges and he grabbed this awesome shot. Thanks, Marty! We ended our run at the Arts Quest building/Steel Stacks- where the races would start and finish and where the expo was held. We had breakfast and then were treated to listening to Golden tell the story about how- and why- Altra was created. 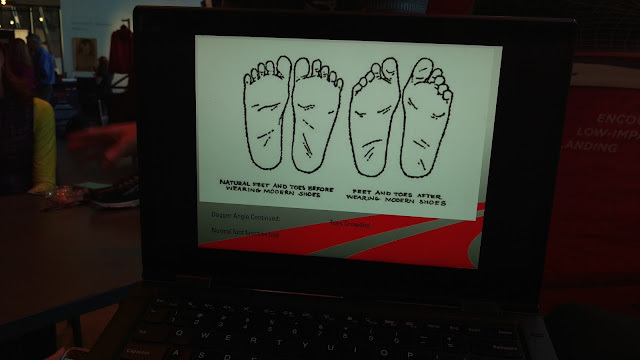 I learned so much about how Altra's foot-shaped and zero-drop technologies help runners achieve pain and injury free running. I mean, I thought I knew a lot about the shoes and the story, but Golden really explained the science and the reasoning behind why Altra shoes are good for your feet. 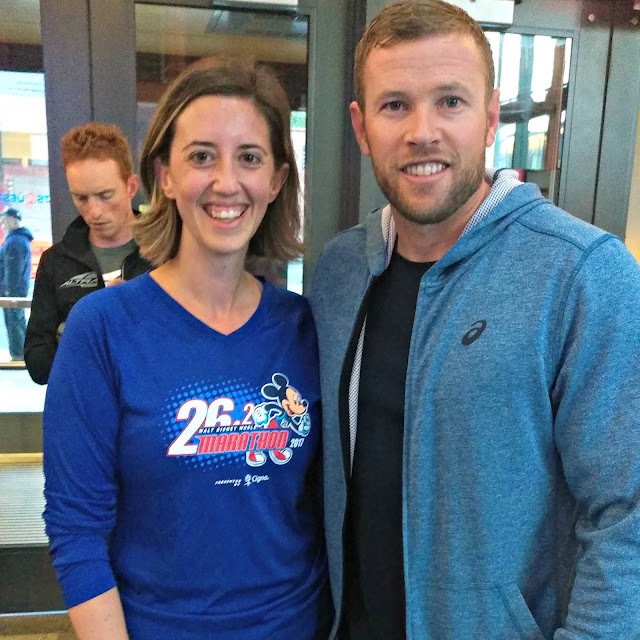 Hearing him speak confirmed for me that I will always be an Altra runner. A foot-shaped toe box is important, y'all! 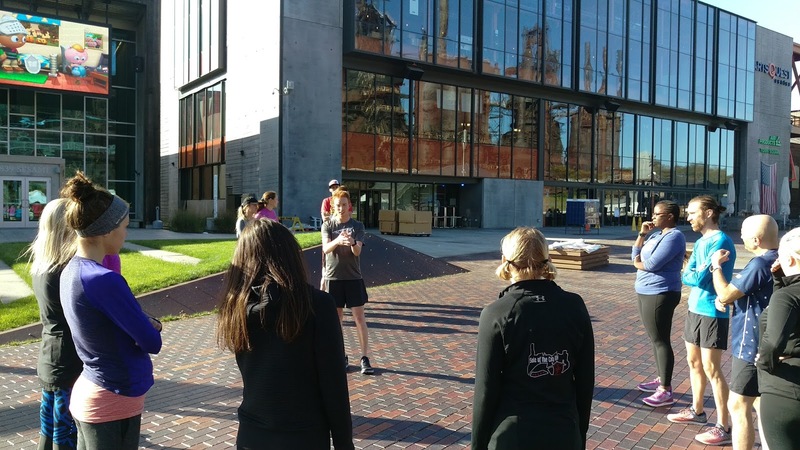 After learning more about Altra, we headed outside for a "run better" clinic using these four principles: Proud Posture, Compact Arms, Low-Impact Landing, and High Cadence. I highly recommend you check out more about these running form best practices here. This clinic was incredibly helpful and I used several of these techniques to help me keep proper form over the weekend of races. If you're wondering, yes, Golden did run up to the top of that arch. He's insane...ly awesome! Listening intently to the "run better" master. Ok, so here's where the whining comes in, ha! After the clinic, we got a surprise- a pair of Altra HIIT XT shoes! Yay! Right?! 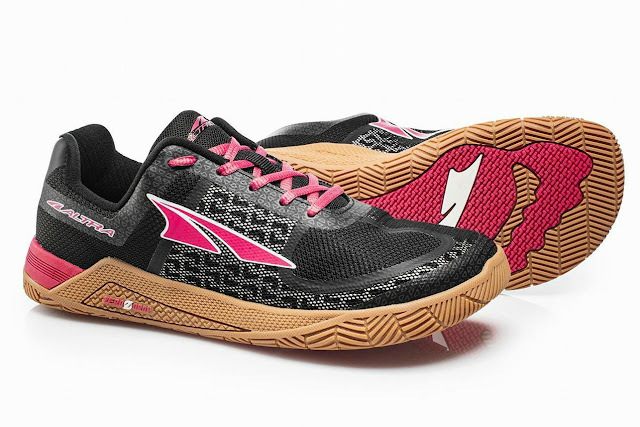 We got the new shoes, which are basically designed for cross-training, and then we got to try them out with a 16 minute, High Intensity Interval Training (HIIT) workout led by Altra Trainer Emily. Holy. Sh!t. This workout was intense. There was a group of us that were definitely whining a little louder than the rest of the group, ha! Someone from Altra was taking pictures- I hope those never see the light of day. There's a reason I'm a runner and not a cross-fitter or really anything else that requires upper body strength- there might have been some rolling around on the ground when I was supposed to be doing push-ups. :-) The one positive of this workout? The Altra HIIT XT's were awesome! They have a lot of support on the sides of your feet/shoes so moving in any direction is not a problem with these. I can't wait to try them out the next time I'm doing any sort of cross-training. After our second workout of the day, we were treated to lunch and an inspirational talk from Bart Yasso. He spoke to us about what it means to be an influencer and shared with us some of the stories of folks he's met over the years and the impact they've had on his life. Trust me, there was not a dry eye in the room when he was finished speaking. We also each got a signed copy of his latest book, Race Everything, and had some more time with the folks from Altra and Runner's World. From there, we made a mad dash to the expo to pick up bibs for the weekend and then get ready for the 3.8 mile trail race that afternoon. 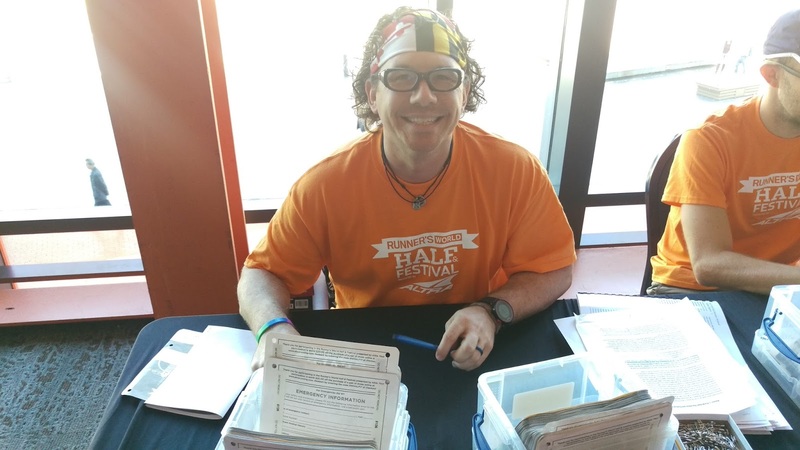 I grabbed my bib from an incredibly handsome volunteer, shopped the expo a bit, and then walked back to the hotel to change and get ready for the race. I should probably mention that Matthew came up to Bethlehem for the weekend but stayed in another hotel so I could have the full blogger experience- he's the sweetest. To get to the trail race, we had to board shuttles at Arts Quest to get up to the section of the trail where we would start and end the race. Once there, we had about an hour to kill while we waited for the race to begin. I was able to spot another blogger in the crowd, Rylee from Man Bun Run, and we chatted for a bit about what was to come. I'd heard this race was pretty brutal and let me tell you- it totally was. 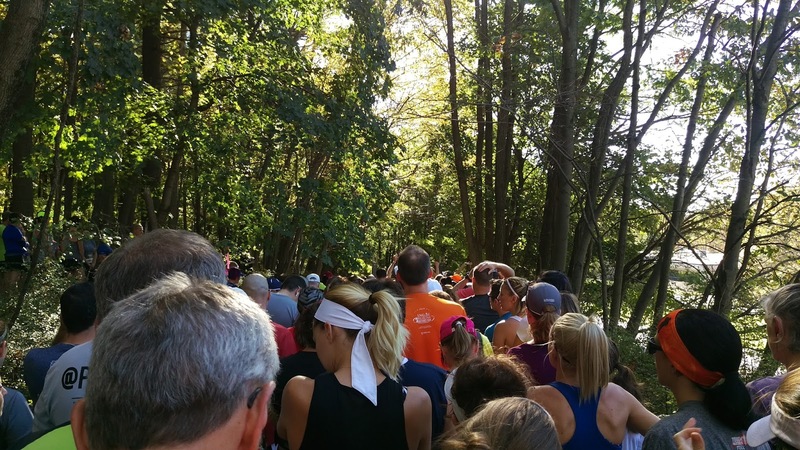 About 15 minutes before the start, they walked us all up a hill to get roughly corraled into a starting line based on pace. Matthew and I grabbed a space where we could and hoped we were seeded correctly. Somewhere up there is the starting line. I can't really say that we "ran" this race for a few reasons- the course was narrow and single-file at some points, the hills were really effing steep, and there were rocks and roots everywhere. Trail running demands so much of your attention- you have to watch every single step. 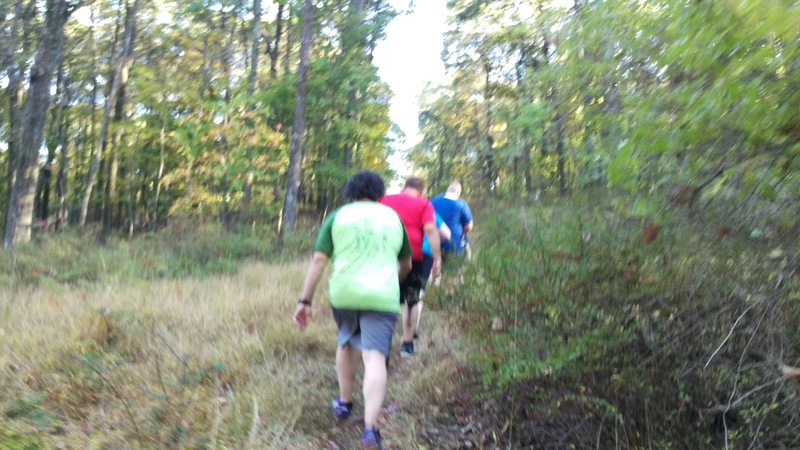 Matthew and I struggled with this course- it definitely showed me some gaps in my training; mainly, I need to incorporate more hill and trail work into my regular running routine. In short, I was not ready for this race. But- we finished! 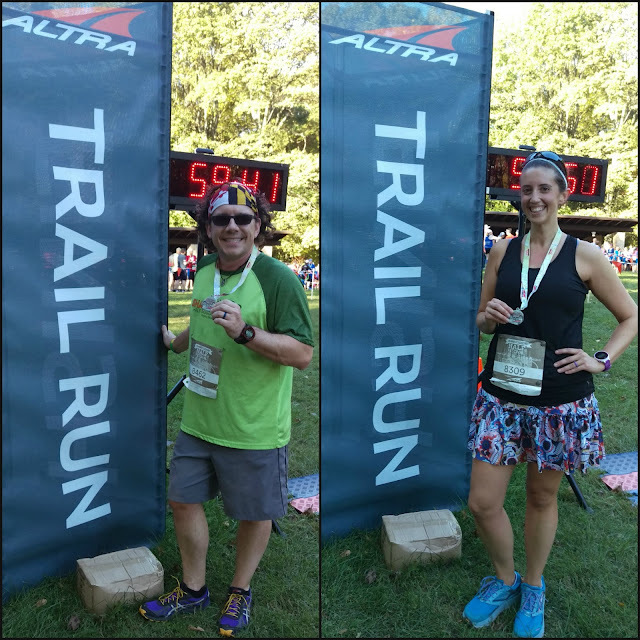 It may have taken over 58 minutes, but Matthew and I completed the first race of the Grand Slam: 3.8 mile trail race, 5k, 10k, half marathon. This blurry picture doesn't even capture how vertical this course was. So. Glad. To. Be. Done. Luckily for us, there was plenty of pizza and water out for runners at the finish. We got to see Lauren, Zoe, Theodora, and Rylee at the finish and I think we all were a little winded at the end of this one. I'm looking forward to coming back next year and crushing this race now that I know what I'm in for! After the race, we had some downtime, so Matthew and I had dinner before he dropped me off at my hotel. 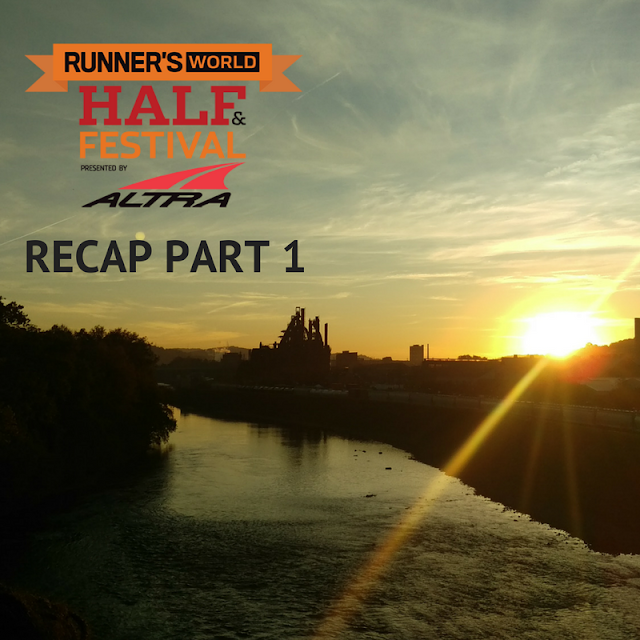 The next day held back-to-back races, the dog run, and more events with the blogging crew. Zoe and I chatted for a bit, compared notes from the trail race, and laid out our things for the next morning before getting in bed- I'm pretty sure we were asleep by 10! Stay tuned for Recaps Part 2 and 3! A very nice article written. With joy I read your blog.